But this girl is much changed from the one Nico knew. She's thin and drawn, where Sarah had been golden and athletic; timid and unsure, instead of brash and competitive; and strangest of all, sweet and kind, when she had once been mean and abusive. Sarah's retrograde amnesia has caused her to forget almost everything about her life, from small things like the plots of her favorite books and her tennis game to the more critical—where she's been the last four years and what happened at the park on the fateful day she vanished. Despite the happy ending, the dark details of that day continue to haunt Nico, and it becomes clear that more than one person knows the true story of what happened to Sarah. This book was one of the best reads I had, there were two POVs, I thought at first that this was a horror type of book because of it's cover but then I found out that this is full of mystery and twisted! I seldom read this type of book but this one catches my attention. What made me interested in the book? It's the title. 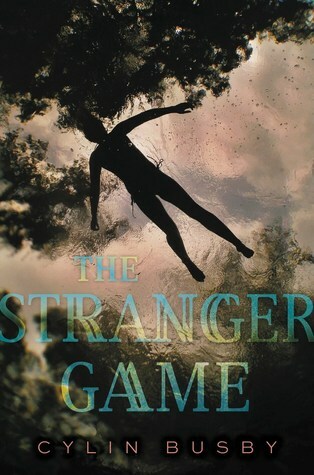 I would love to know why it was called The Stranger's Game. Who's the stranger and why? Luckily this book answered the questions in my head. I guess I could say mind blown, as I mentioned it was twisted but I loved how the two different character stories met at this book. How Nico found out about the stranger, how everything changed when she came in to Nico's life. Somehow it was a good thing that the stranger became the part of their lives. Cylin Busby is the author of several teen books and numerous articles as well as the acclaimed young adult memoir, THE YEAR WE DISAPPEARED,which was a Wall Street Journal bestseller, a Publishers Weekly Best Book of the Year, and a Cybils Award winner. Her latest novel, THE NINE LIVES OF JACOB TIBBS, has earned starred reviews and was an Amazon Best Book of the Month. The former Senior Editor of Teen Magazine, Cylin now lives in Los Angeles with her family.